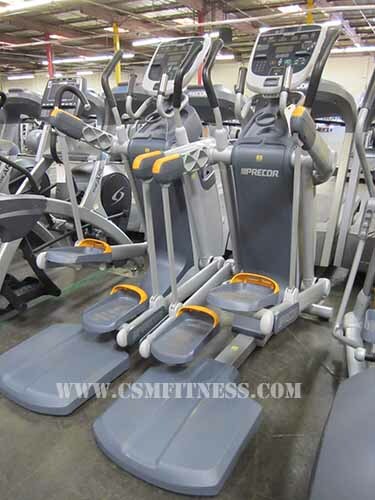 The Precor AMT 835 creates a new feeling while working out. This machine has already proven that it burns more calories at a higher rate than other cardio equipment, The AMT 835take pressure off your other equipment by delivering a range of motions similar to what they offer. This AMT offers open stride, sets users free to adjust their stride height. Open stride lets you not only change the length of your stride but also the infinite variety of motion paths.